Signal processing can be broadly defined as the application of analog or digital techniques toimprove the utility of data. In biomedical engineering applications, improved utility usually means that the data provide better diagnostic information. Analog techniques are sometimes applied to data represented by a time-varying electrical signal, but most signal-processing methods take place in the digital domain where data are represented as discrete numbers. These numbers may represent a time-varying signal, or an image. 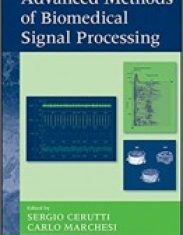 This book deals exclusively with signal processing of digital data, although the Introduction briefly describes analog processes commonly found in medical devices. 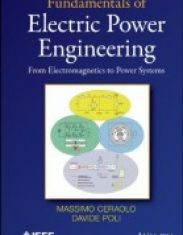 This book should be of interest to a broad spectrum of engineers, but it is written specifically for biomedical engineers (called bioengineers in some circles). Although the applications are different, the signal-processing methodology used by biomedical engineers is identical to that used by electrical and computer engineers. The difference for biomedical engineers is in the approach and motivation for learning signal-processing technology. A computer engineer may be required to develop or modify signal-processing tools, but for biomedical engineers these techniques are tools to be used. For the biomedical engineer, a detailed understanding of the underlying theory, while always of value, is not usually needed. What is needed is an understanding of what these tools do and how they can be employed to meet biomedical challenges. Considering the broad range of knowledge required to be effective in biomedical engineering, encompassing both medical and engineering domains, an in-depth understanding of all of the useful technology is not realistic. It is most important to know what tools are available, have a good understanding of what they do (if not how they do it), be aware of the most likely pitfalls and misapplications, and know how to implement these tools given available software packages. The basic concept of this book is that just as the cardiologist can benefit from an oscilloscopetype display of the ECG without a deep understanding of electronics, so a biomedical engineer can benefit from advanced signal-processing tools without always understanding the details of the underlying mathematics. In line with this philosophy, most of the concepts covered in this book can be broken down into two components. The first component is a presentation of a general understanding of the approach sufficient to allow intelligent application of the concepts. Sometimes this includes a description of the underlying mathematical principles. The second section describes how these tools can be implemented using the MATLAB® software package and several of its toolboxes. 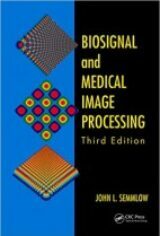 This book was originally written for a single-semester course combining signal and image processing. Classroom experience indicates that this ambitious objective is possible for most graduate formats, although eliminating a few topics may be desirable. For example, some of the introductory or basic material covered in Chapters 1 and 2 could be skipped or treated lightly for students with the appropriate prerequisites. 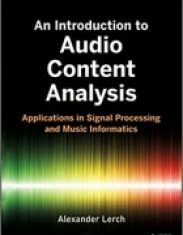 In addition, topics such as Advanced Spectral Methods (Chapter 5), Time–Frequency Analysis (Chapter 6), Wavelets (Chapter 7), Advanced Filters (Chapter 8), and Multivariate Analysis (Chapter 9) are pedagogically independent and can be covered as desired without affecting the other material. 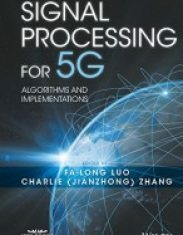 With the inclusion of Chapters 10 and 11 on nonlinear signal processing, the material on image processing could be deleted and the course restricted to one-dimensional signal processing.